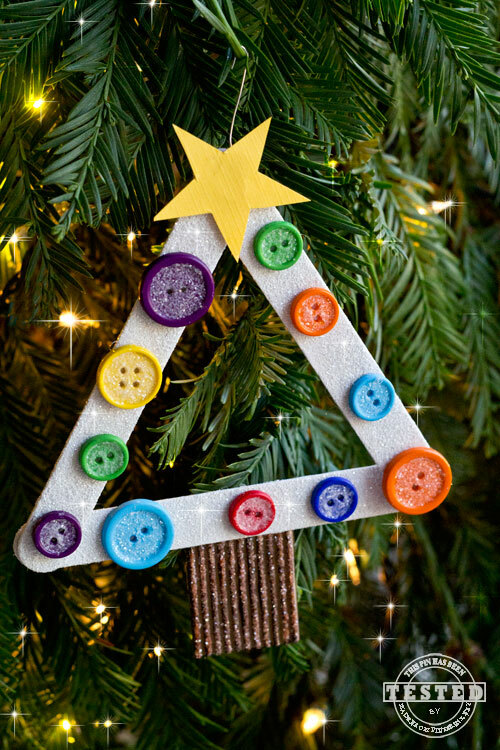 I LOVED making these DIY Kids Christmas Tree Ornaments. 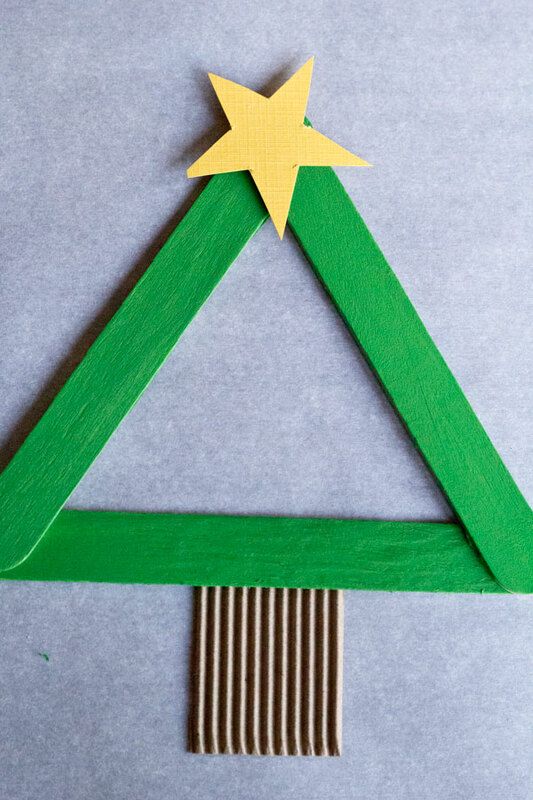 They are so easy to make, kids of all ages can join in on the fun and make one of their own. I still cherish each ornament my children have made over the years, hanging them on our tree is one of my favorite Christmas traditions. We love Christmas and Christmas traditions so much we created two fabulous holiday round-ups for you: 50 Handmade Christmas Ideas and Pumpkin Time: 40 Sweet and Savory Recipes. 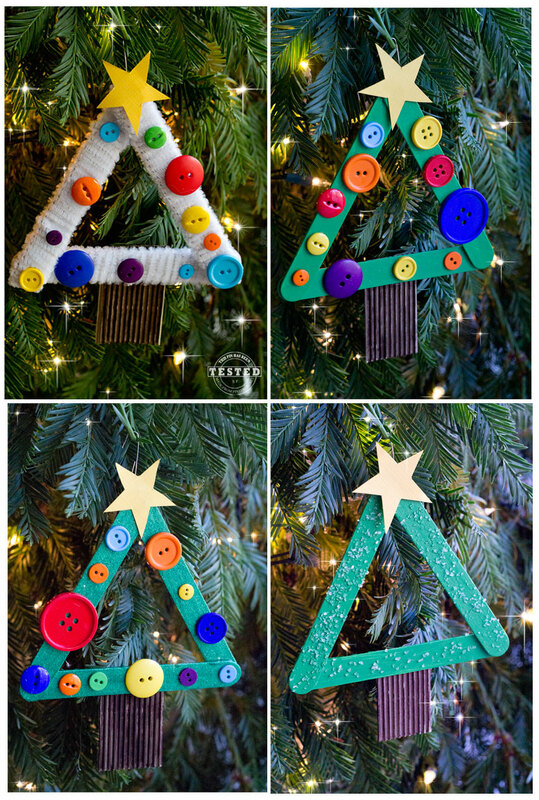 Before we start crafting I want to thank Ginger from Ginger Snap Crafts for sharing her Christmas tree ornaments! 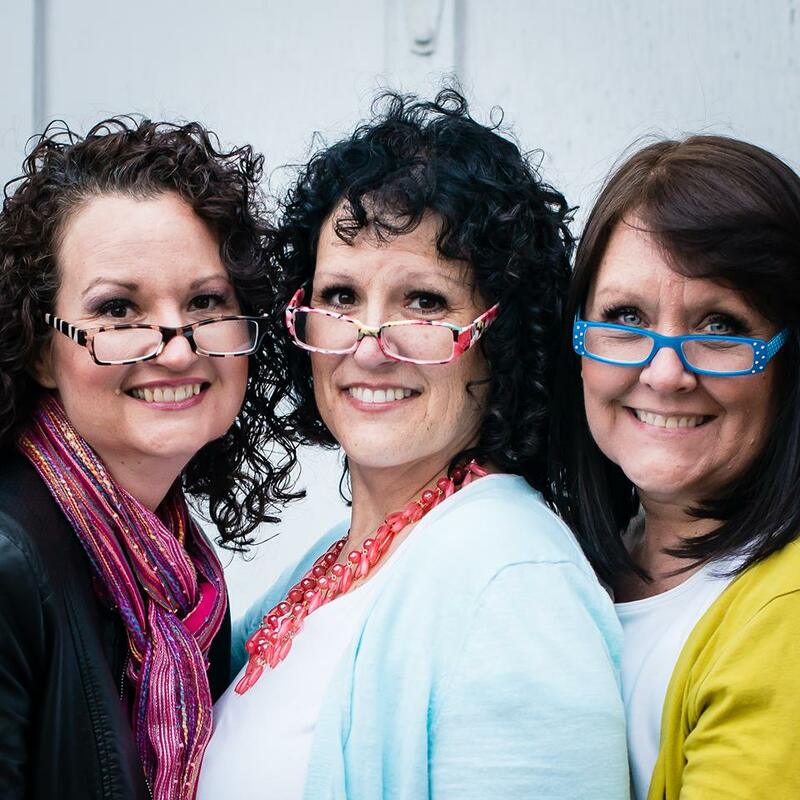 Ginger’s blog is full of amazing craft and DIY projects, be sure to head over to see what she has been up to lately! Figure out how many trees you are going to make, you will need 3 jumbo size craft sticks per tree. 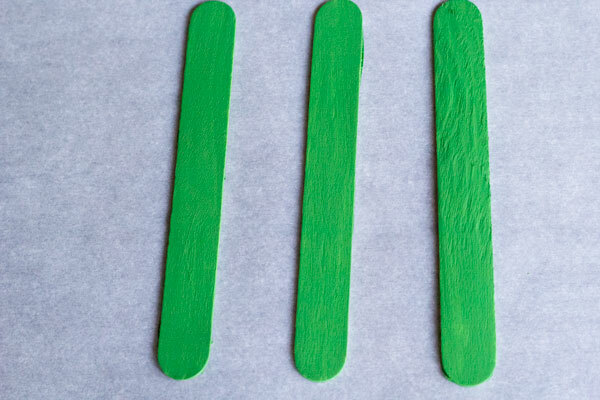 Paint your sticks the desired color, allow them to dry thoroughly. 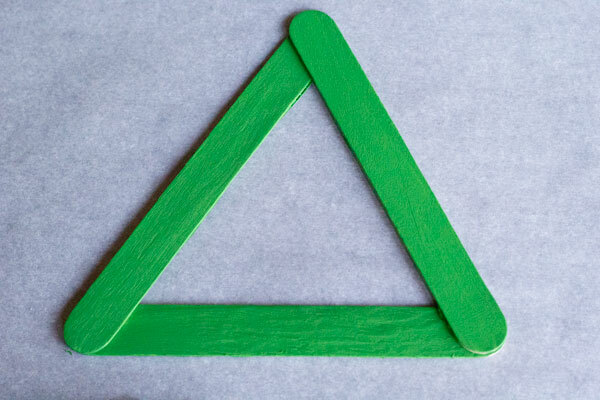 Make a triangle with 3 sticks, gently lift up a corner and apply a small dab of hot glue, press down gently until the glue cools. Repeat the process with the other two corners of the triangle. 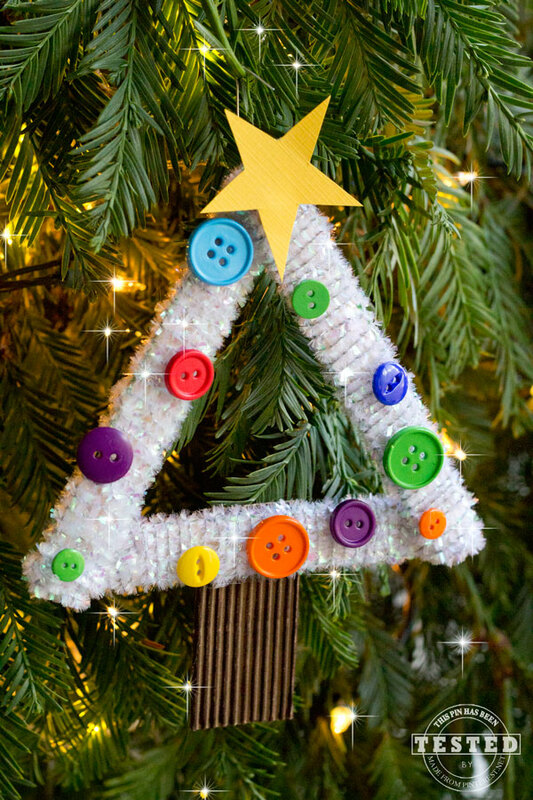 Glue your star and tree trunk on next. 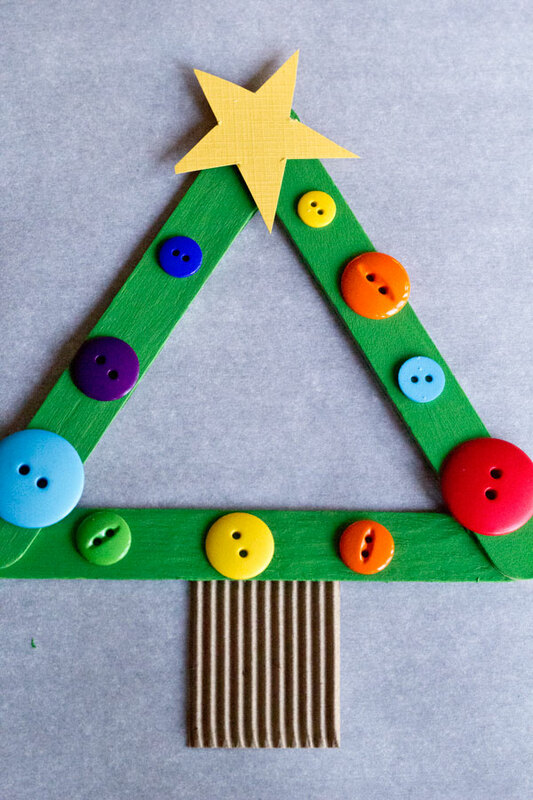 Time to glue on an ornament hanger and buttons onto your tree. That’s it, your done! I used green paint to make my first tree and it turned out darling. But…..I’m a gal who loves a little bling and sparkle! I grabbed some glitter and iridescent pipe cleaners to make a few more trees. I love my sparkly ornaments! I can’t wait to hang them on our tree this year. These would make great gifts for friends, neighbors and school teachers! 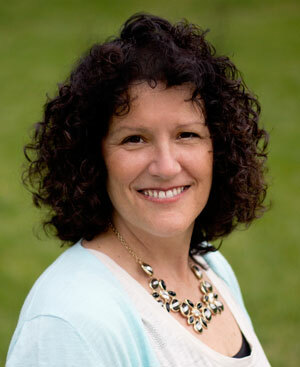 I have to say…….